The Morane-Saulnier 230 is an advanced training machine. Behind it may be seen the Breguet "Question Mark." 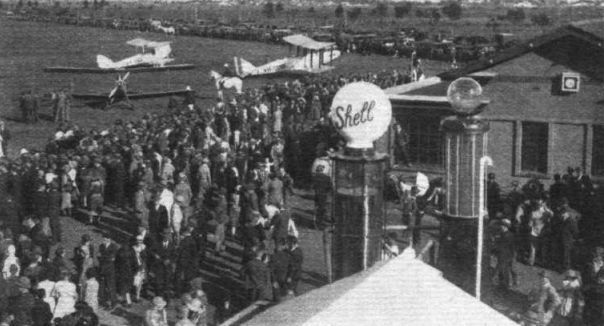 Don Bradman arriving by air at Essendon Aerodrome, Melbourne. 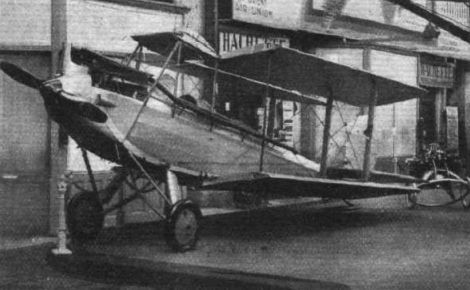 The D.H.9 is the Australian Aero Club's advanced training machine, and the Moths are privately owned. 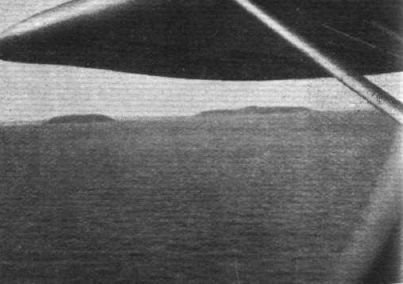 THE ITALIAN SQUADRON'S ATLANTIC FLIGHT: As reported below the twelve Italian Savoia S.55 flying-boats left Orbetello, under the leadership of Gen. Balbo, on December 17. 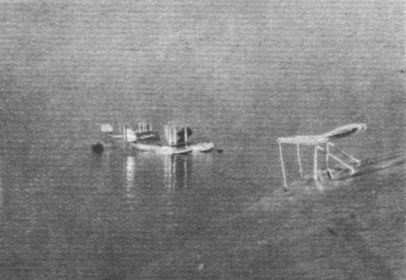 The above picture shows one of the flying-boats being "tractored" to the water. 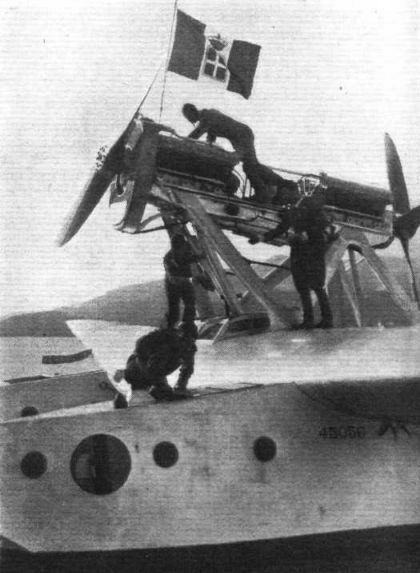 THE ITALIAN SQUADRON'S ATLANTIC FLIGHT: A final inspection being made before the start of the two Fiat A22R engines in one of the boats. 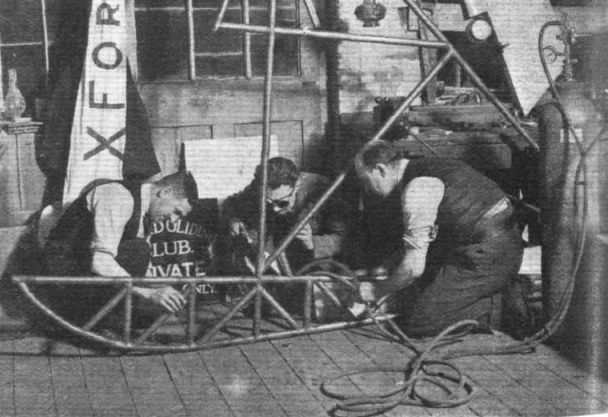 The Bristol "Bulldog" is exhibited with panels removed to show the structure and equipment. The S.E.C.M. 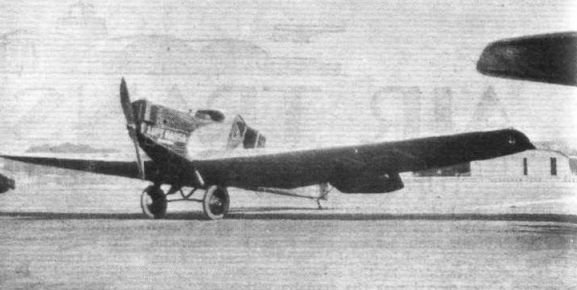 Amiot type 140M is a multi-seater fighter and reconnaissance machine. The engines are neatly cowled in and faired into the wing. AS SEEN FROM THE "Do.X": The "snap" taken by Col. The Master of Sempill: passing the Channel Islands. The Armstrong Whitworth Atlas. Under it an Argosy wheel and a model of Argosy. Two of the Singapore Club's Moths (Cirrus II) landing in formation when Sir Geoffrey Salmond was visiting the Club. SIDE BY SIDE SEATING: The latest "Redwing" produced by the Robinson Aircraft Co. is similar in general construction to the first machine, but the engine is an Armstrong-Siddeley "Genet" for which a very neat cowling has been designed. 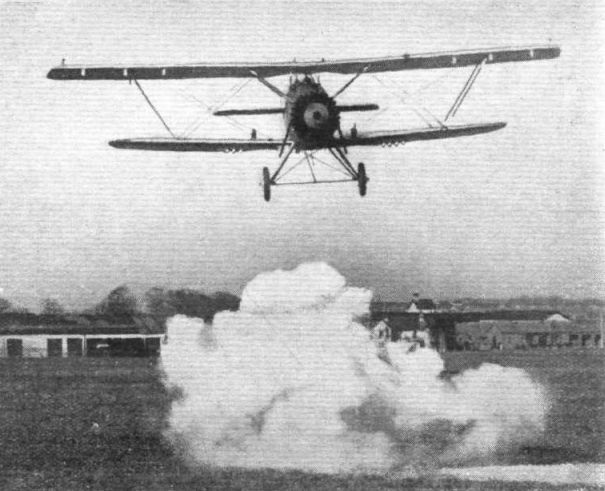 An undercarriage of long stroke is provided so that landings are particularly smooth. 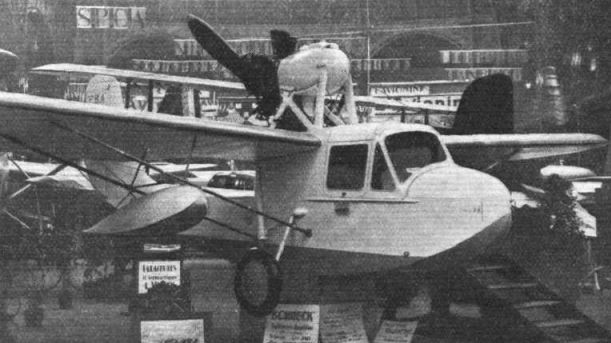 THE ROBINSON "REDWING MARK II": Three-quarter rear view. 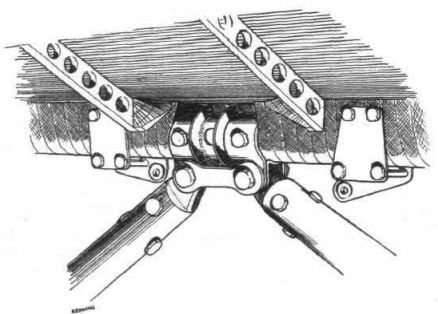 THE ROBINSON "REDWING MARK II": The telescopic legs of the undercarriage run to the top longerons. THE ROBINSON "REDWING MARK II": On the left a view of the undercarriage and the neat cowling of the "Genet" engine. On the right a photograph, taken while the machine was in course of construction, showing the undercarriage, with compression rubbers. Portion of the engine mounting is also visible. 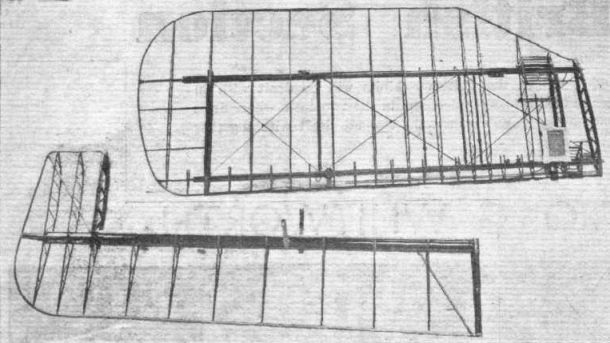 Details of the fuselage construction. The covering is plywood, except the bottom, which is fabric. 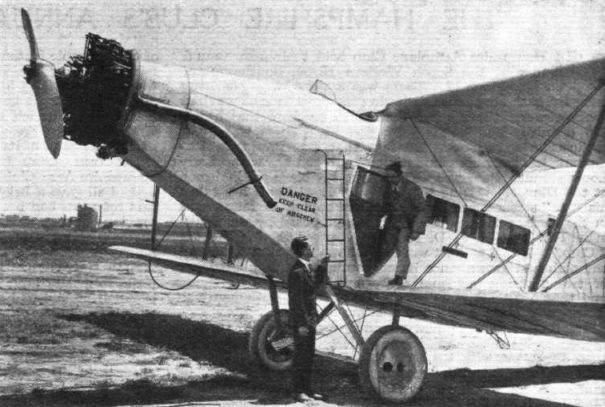 The bent axles of the undercarriage are hinged to the cross-tubes in the bottom of the fuselage. The brackets on each side of the hinge carry the engine control rods. 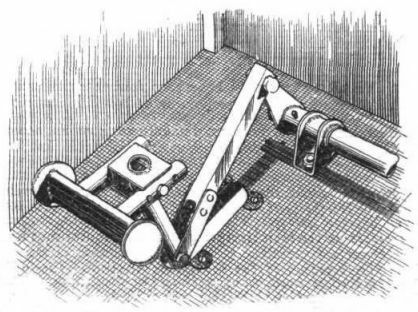 The wing-folding device. 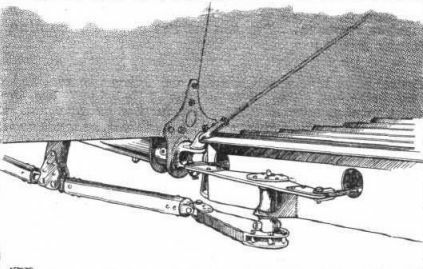 T-cranks are mounted on the roots of the lower planes, with cables to the ailerons and links to the pilot's controls. Pedals are used instead of foot bars for the rudder control. The pedals can be adjusted for length. 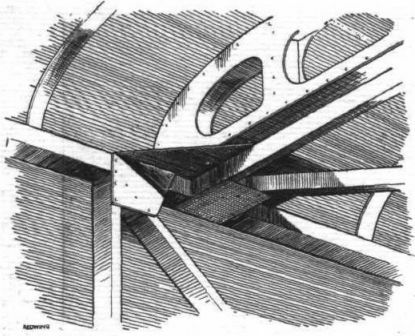 On the left a sketch showing rib construction, and on the right the neat end of an interplane strut. 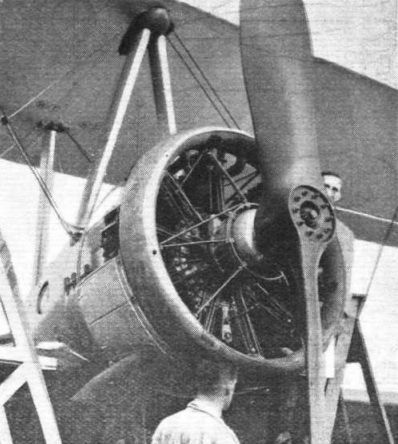 The Boulton and Paul Townend exhaust ring is here shown around a Jupiter engine; some cowling panels behind the ring are removed, showing access to engine. The Polish Fighter. Type P.VI. Note the formation of the wings. 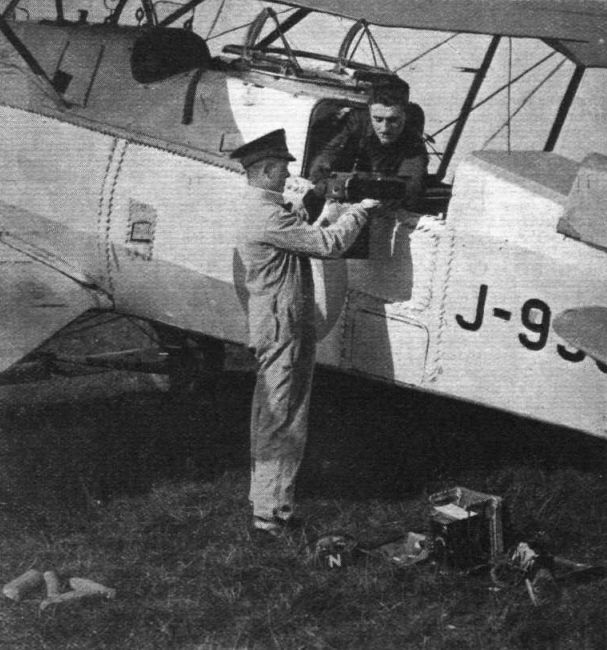 The Breguet 270 A.2 has a tail boom in the form of a large box-section steel spar to give a better field of fire for the gunner. The Puss Moth is a centre of attraction on the Morane-Saulnier stand. 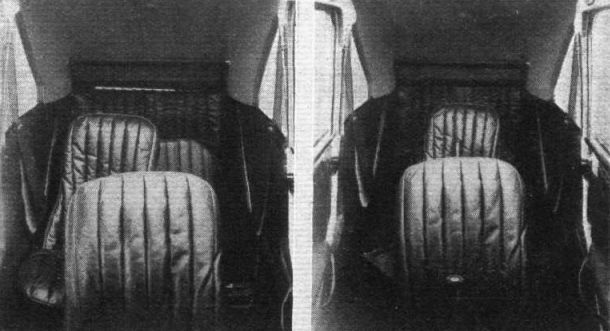 Two inside views of the latest D.H. Puss Moth (Gipsy III) showing the cabin arranged for dual control (right), and as a three-seater (left). The excellent upholstery should be noticed. 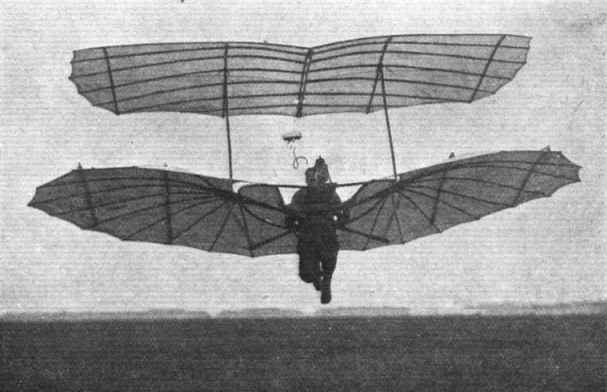 The Wibault 3-engined monoplane is characterised by a perfectly straight back. This is probably to avoid panel beating. No. 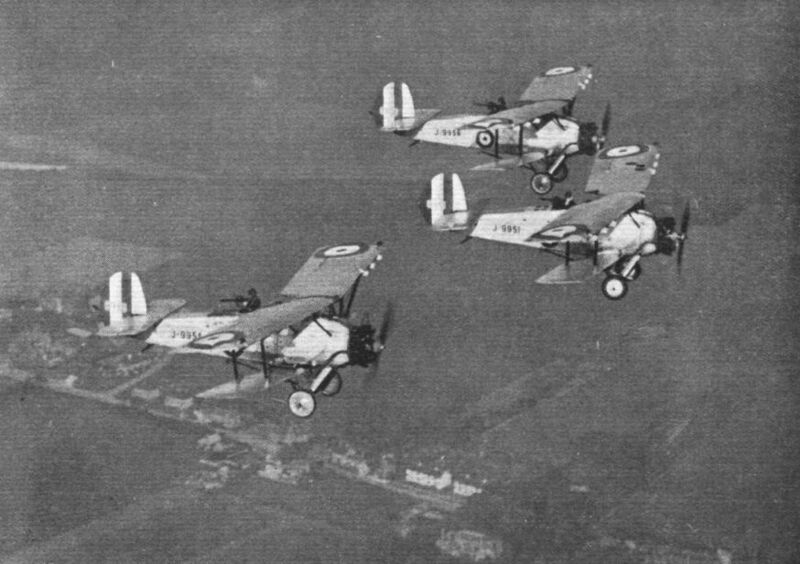 2 (A.C.) Squadron. 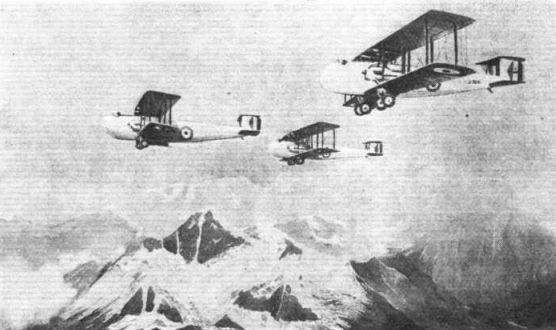 A flight practising formation flying with the air gunners ready for action. An Atlas of No. 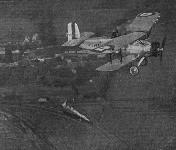 2 (A.C.) Squadron bombing a ground target. Preparing for vertical photography. The camera is inserted under the wireless panel, seen on the ground. 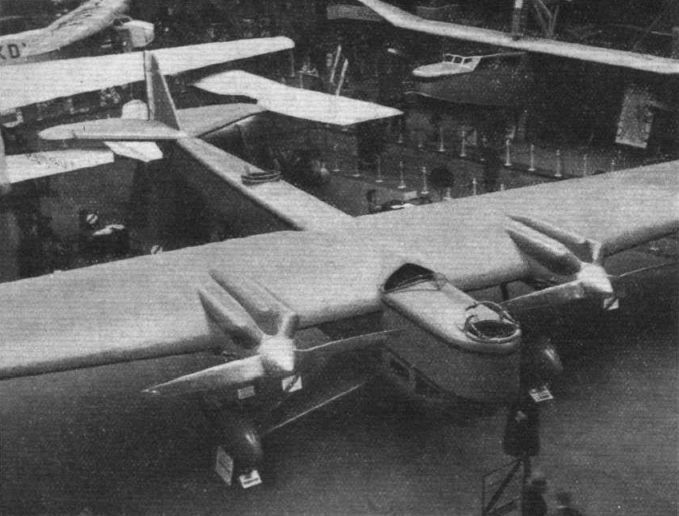 Two views showing a left-hand lower wing of an Atlas (above), and an aileron, both being good examples of the Armstrong-Whitworth steel construction. EVACUATION OF INHABITANTS OF KABUL: This picture is a reproduction of a painting by Mr. Johns, representing Vickers "Victoria" Troop Carriers with Napier engines flying over the Kabul-Peshawar area. A reproduction in colour of this painting has been issued jointly by Vickers (Aviation), Ltd., and D. Napier & Son. Ltd., and we are asked to state that on application to Vickers from any of the officers and personnel of the R.A.F., &c, who took part in the Kabul operations, a copy of the reproduction will be sent, post free. On the Boulton and Paul stand. The skeleton wing is for a Blackburn Bluebird. The models in the foreground are for wind-tunnel research on the Townend ring, which may be seen in the background fitted to a Jupiter engine. 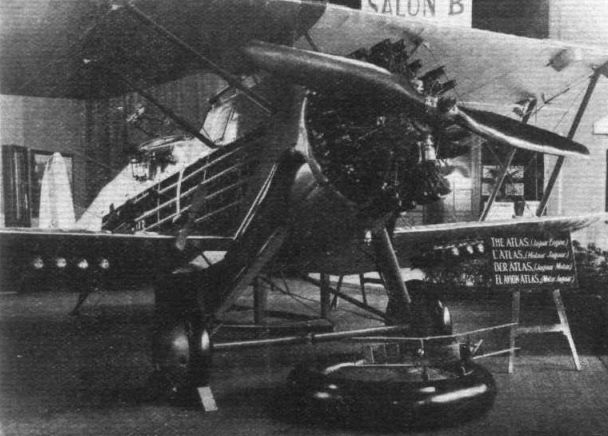 The Couzinet type 20, has three Salmson 40-h.p. 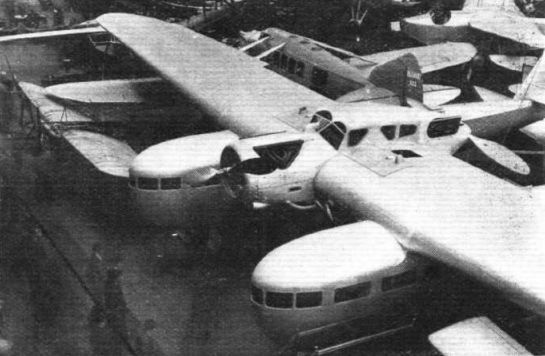 engines and a retractable undercarriage. Note the very pointed engine cowlings. 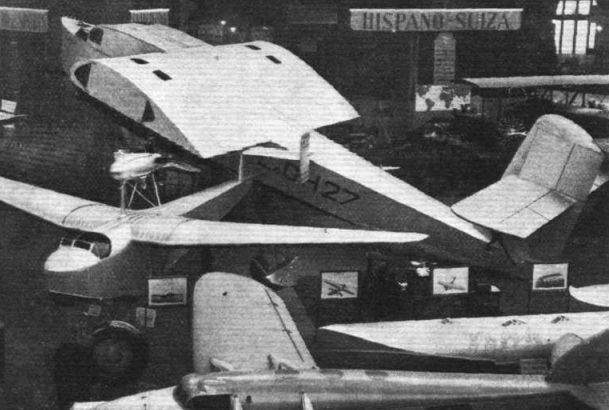 Another view of the Couzinet monoplane (right). Note the retracted undercarriage. 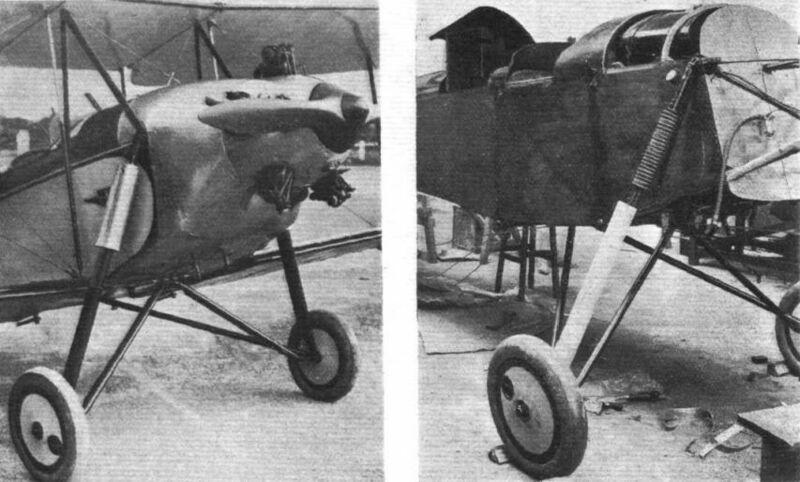 On the left the Mureaux type III R.2. 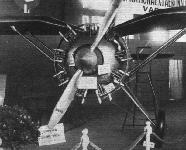 ONE OF FOUR FARMANS EXHIBITED: The F.190 which flew to Indo-China in record time. The Schreck F.B.A. 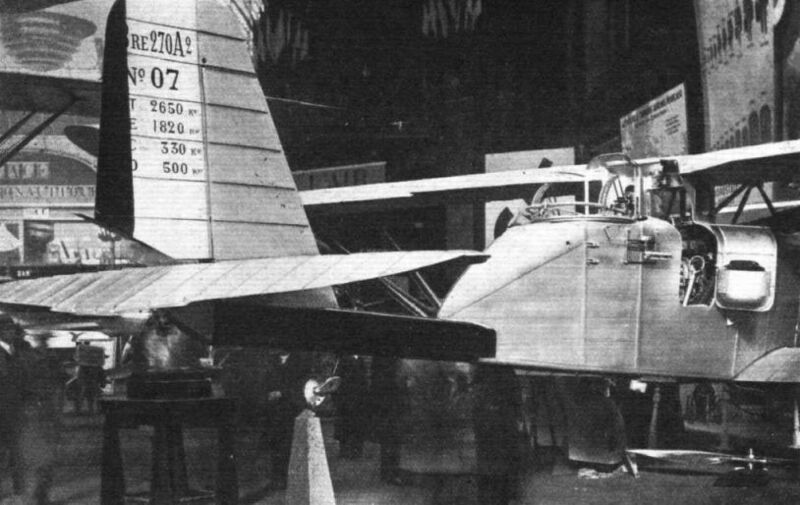 310 is a neat little amphibian flying boat carrying pilot and two passengers. 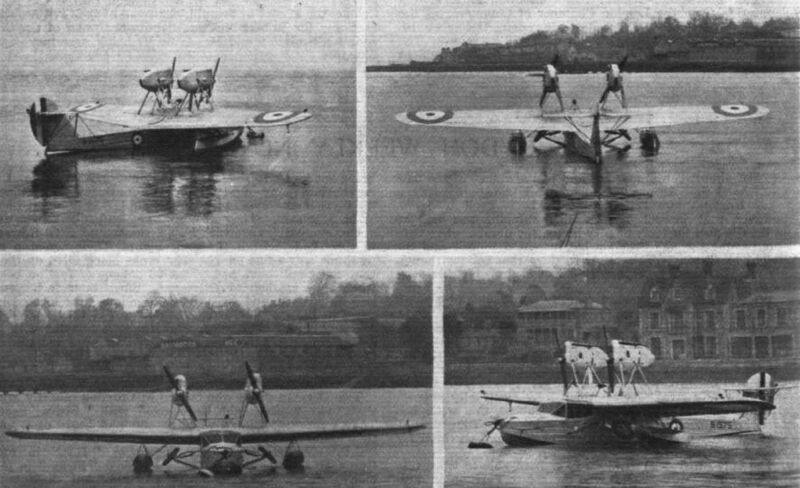 A SERVICE AMPHIBIAN: Four views of the Saro "Cutty Sark" amphibian flying boat (two D.H. "Gipsy II" engines), which has been supplied to the Royal Air Force for specialised training in navigational instruction, as well as permitting additional experience of the amphibian flying boat. It is a standard "Cutty Sark," very fully equipped with instruments and electrical gear, and is arranged as a three-seater machine with full dual control. 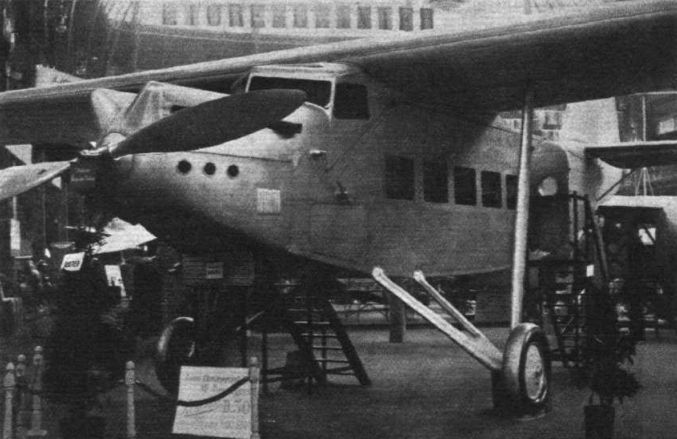 The Fokker F.IX 20-passenger machine is fitted with three Gnome-Rhone "Jupiters." A general view in the Grand Palais, looking north. 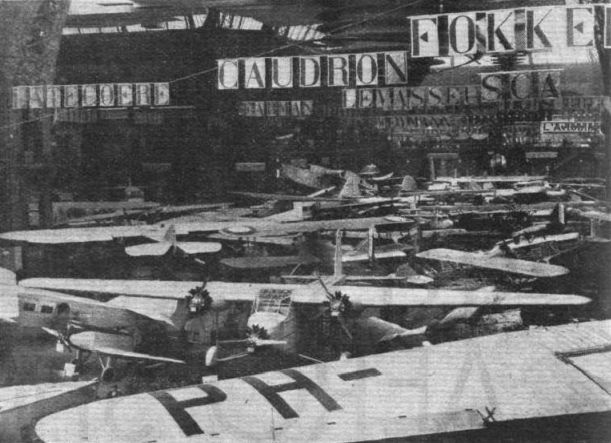 In the foreground may be seen the wings of the Fokker F. IX and the Caudron three-engined monoplane. The Bernard H.V.42 is a high-speed seaplane of Schneider Trophy type. 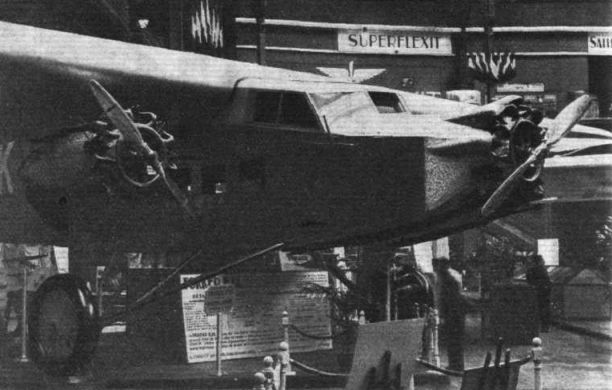 A scale model of the Heinkel amphibian monoplane flying boat. 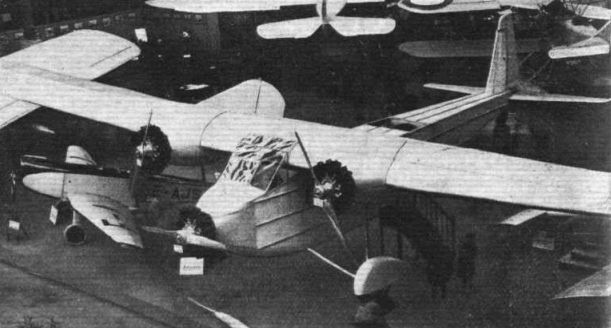 The Latecoere 350 is a three-engined commercial monoplane. 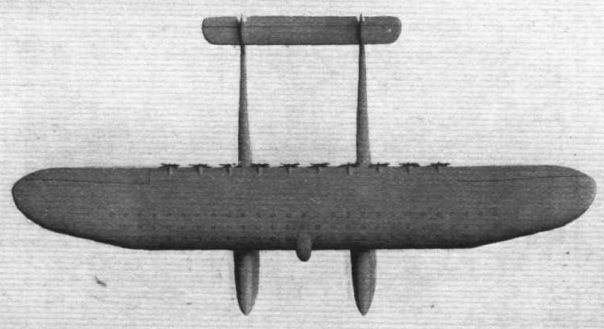 Note that short lower wings run from fuselage to outboard engine mountings. Of the Liore and Olivier LeO H.27, the all-metal hull only is shown. 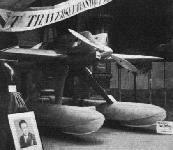 In front of it is the small two-seater amphibian type LeO H.22. 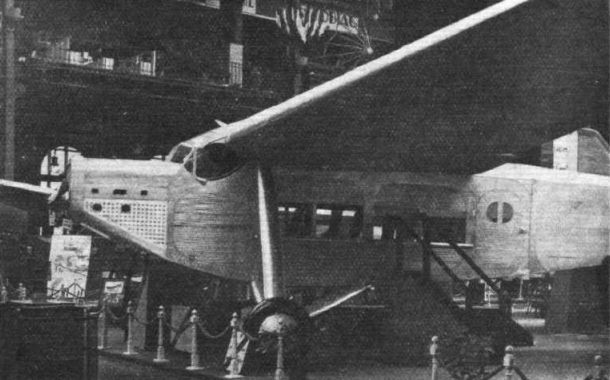 The Bleriot 125 is a twin-fuselage 12-seater monoplane with two watercooled engines in tandem. The pilot's cabin is between the engines. The "Lascowl" is the Anec III re-designed as an 11-seater, fitted with a geared "Jaguar S" engine. Hanworth Club now provides an alternative to flying, so that their members may use the aerodrome in spite of the fog! ON "DOUGHNUTS": The above 1931 model Moth is fitted with Dunlop medium low-pressure tyres, and not the Goodyear low-pressure tyre and hub combination, as we were misinformed last week. Dunlop tyres and wheels are, of course, fitted as standard on all Moths. 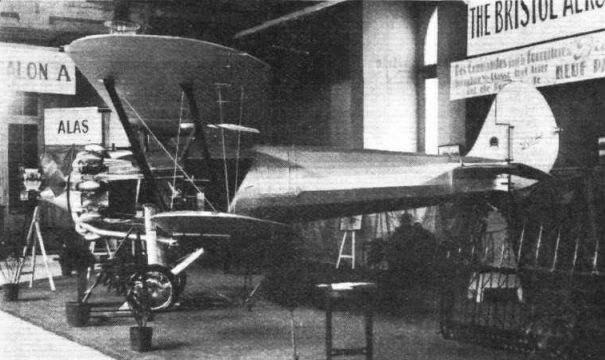 ONE OF FOUR FARMANS EXHIBITED: The machine is the F.200, a light monoplane. 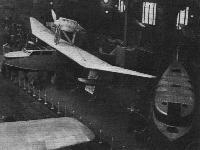 The Dornier Do.S has the pilots' cockpit raised above the deck level like the bridge of a ship. 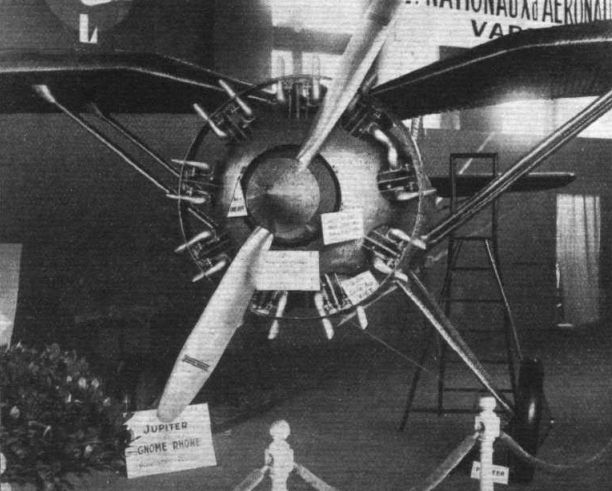 The Caudron three-engined commercial monoplane is fitted with three Lorraine radial air-cooled engines. 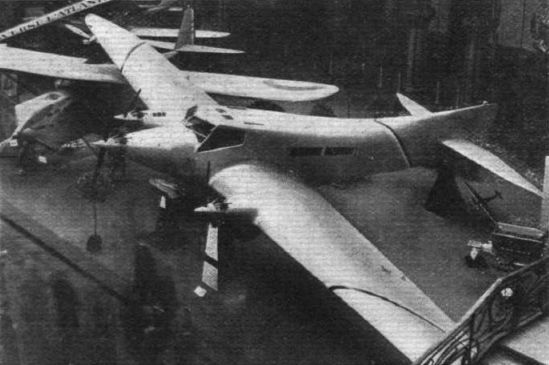 Under its wings may be seen the Caudron low-wing monoplane, type C.195. 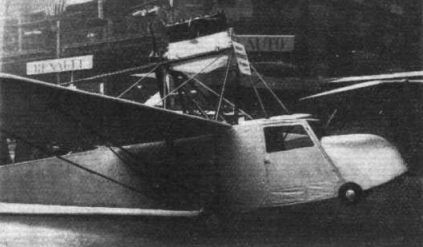 The "Lascoter" 5-seater monoplane fitted with a Siddeley "Puma" engine. 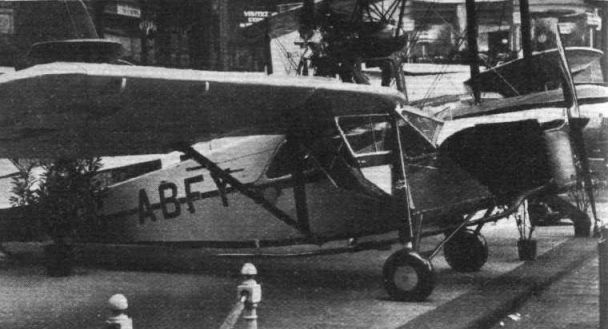 The "Lascondor," a 7-seater monoplane fitted with three Armstrong-Siddeley "Mongoose" engines. A Lancastrian in his club's Prufling at the match between the Lancashire and London Clubs. The C.A.M.S. flying boats. Note the dihedral wing tips of the C.A.M.S.80 The wing is wire braced. 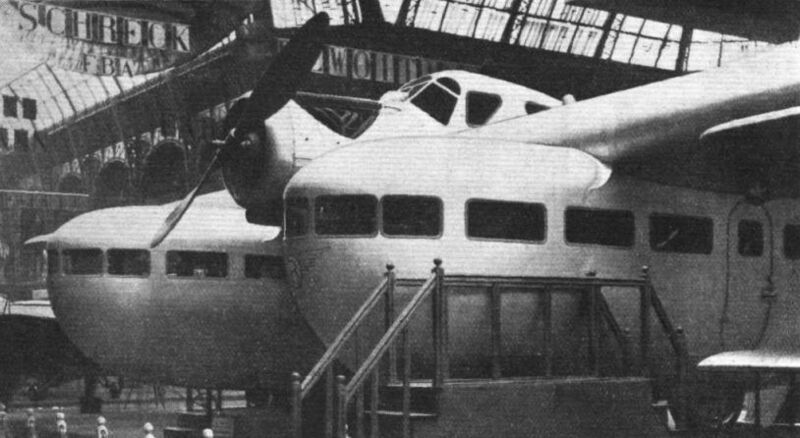 The Dewoitine D.30 is a single-engined 10-seater passenger aeroplane. 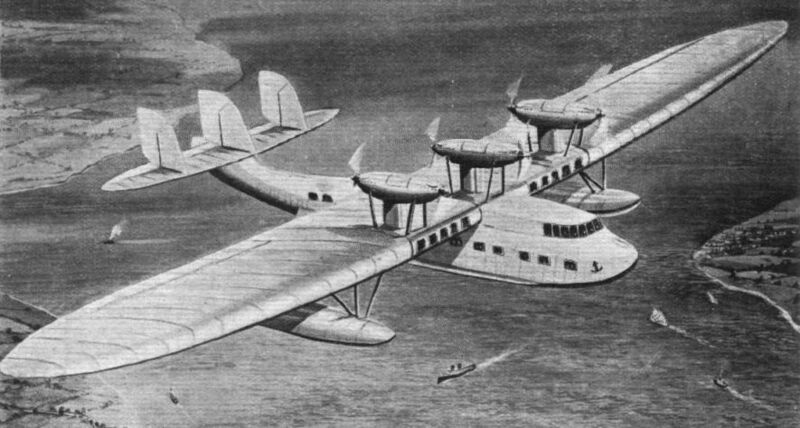 The Levasseur side-by-side two-seater flying boat has its wi»g tip floats supported on the ends of a small lower wing. The Weymann monoplane is a "flying boat on wheels.'' Note car type of windscreen. 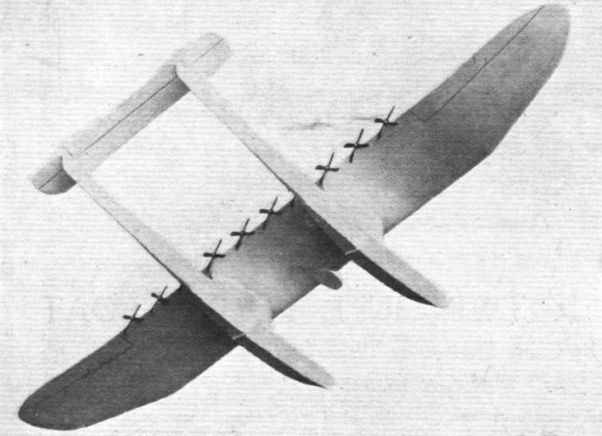 Three-quarter front view of a scale model of the twin-hull Rumpler. View from below of a scale model of the Rumpler twin-hull flying-boat. 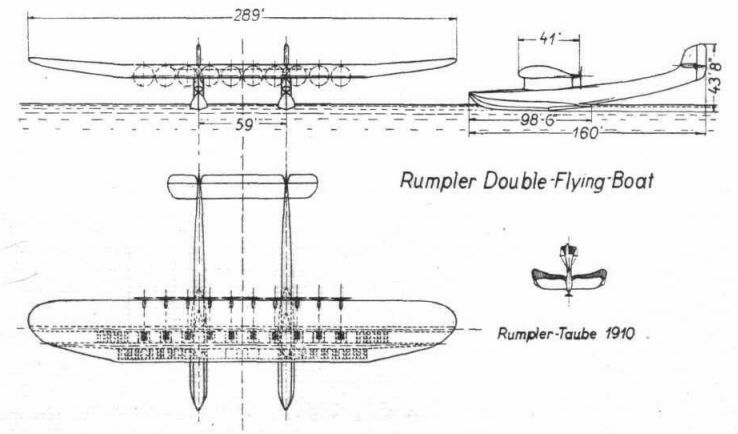 Note the 10 pusher airscrews. Plan view of Rumpler scale model. The span of the full-size machine will be 289 ft., and the wing area 10,764 sq. ft.